Simply draw the line and colored this short comic. 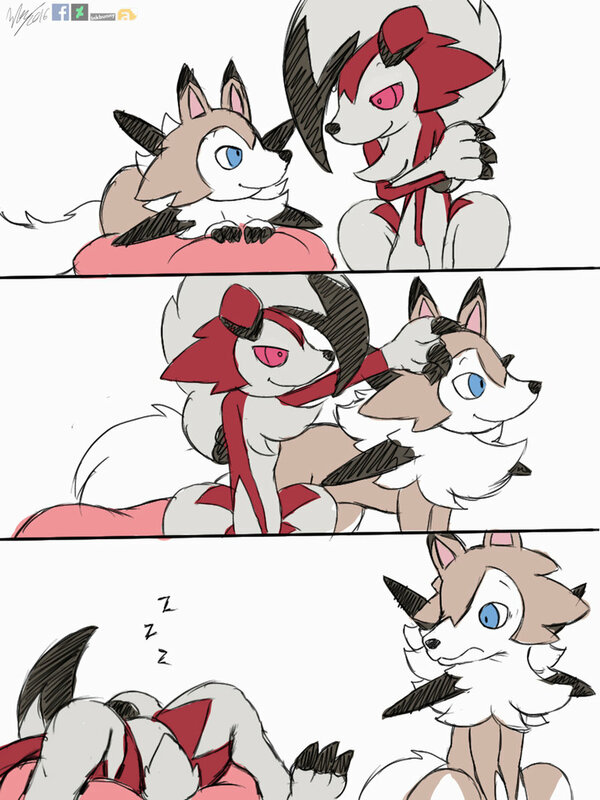 Lycanroc Sun & Moon by Pokémon, Nintendo, Game Freak. Send me a note if you have anything want to say or ask. More arts in my FurAffinity, DeviantArt & Facebook. but wait...they cant exist at the same time can they? They can, one evolves in Sun and the other in Moon, but presumably can be traded just fine! ah since there calld 'midnight' and 'midday' forms i asumed it worked like shaymin where it was one form at night and the other form during the day. "BUZZ! LOOK AN ALIEN!" "Where?!" "Zzz..." ...I'm sorry.